Bacon and the art of living is the story of bacon and the discovery of the origins of bacon production by two friends, Eben and Oscar and the Woodys team. Roy Oliver, James and Willem Klynveld and the rest of the staff at Woodys Consumer Brands (Pty) Ltd.
Their story takes place in the 2000’s and is very similar to the story of another pork butchery in Cape Town in the mid to late 1800’s, Combrinck & Co. This time period and the developments in Cape Town forms the backdrop of the story. David Graaff went to work in a family member, Jacobus Combrincks’ butchery in Woodstock in 1870, when David was only 11 years old. Two of his brothers later joined him and Jacobus retired to pursue public office. Combrinck & Co become the Imperial Cold Storage and Supply Company (ICS), formally listed in 1899. It grew into one of the largest meat processing and distribution companies in the world and dominated the South African food industry for many years. Conditions in Cape Town in the mid 1880’s were not very good. The city lagged behind other major cities in development in many areas. 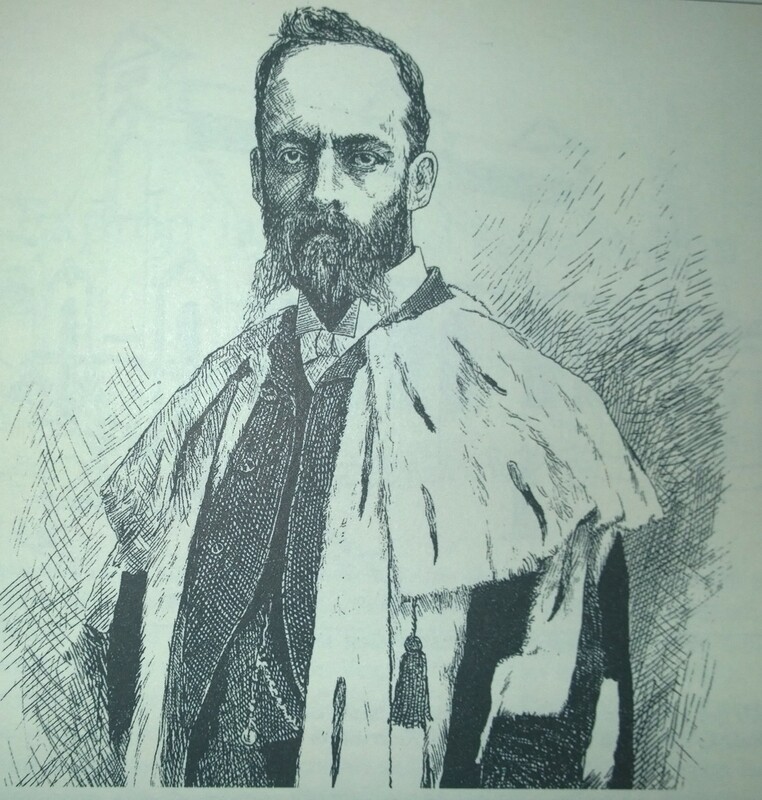 David ran for major and was elected in 1890, aged 31, and determined to address many of the issues plaguing the city. 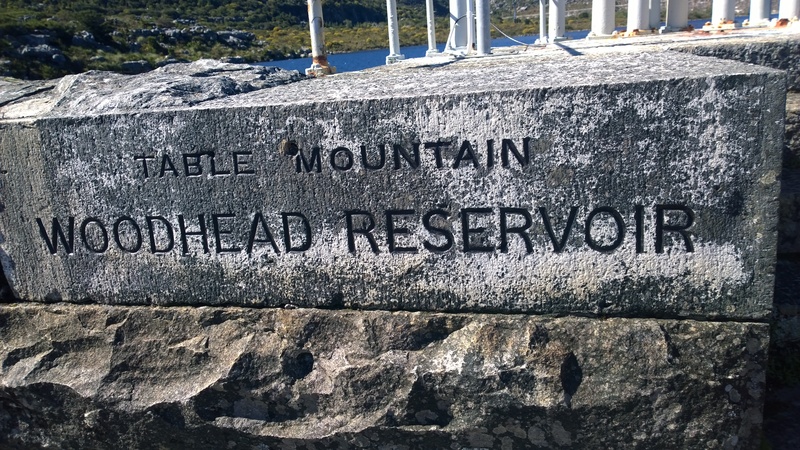 He was responsible for important civic schemes, including the electrical illumination of the city and the provision of water reservoirs on the summit of Table Mountain. John was major for three terms. in 1886-1887, 1888-1889 and again from 1890 – 1892. 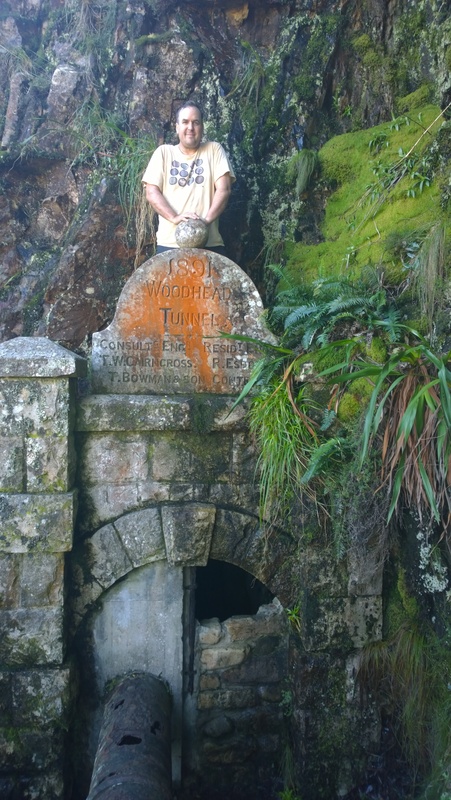 He initiated the building of the Woodhead water works at the top of Table Mountain as part of a project to supply the city with water. David Graaff was major from 1890-1892, the time when the tunnel was actually build. 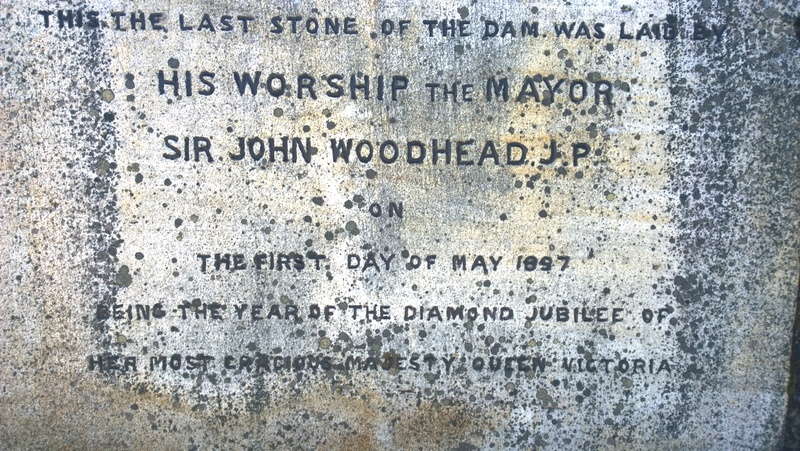 John became major again for a 3rd term from 1893 – 1894 during which time the current Woodhead reservoir was build. 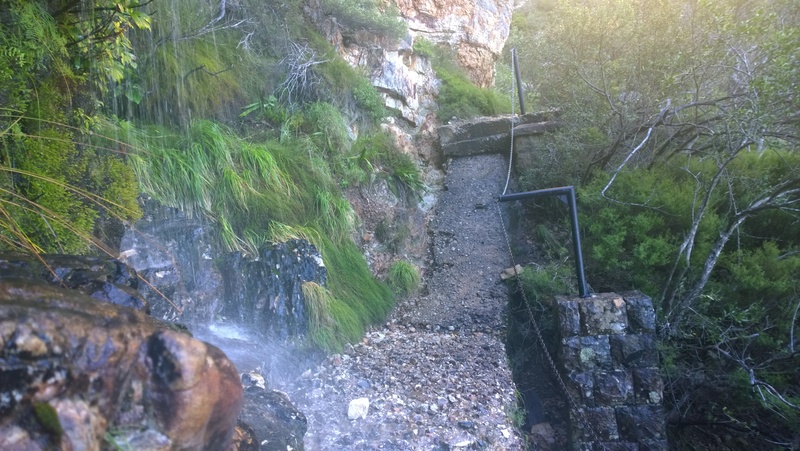 The pipe work from the reservoir, through the Woodhead Tunnel and down towards the city run along the hike up Table Mountain from Camps Bay to Corridor Ravine. 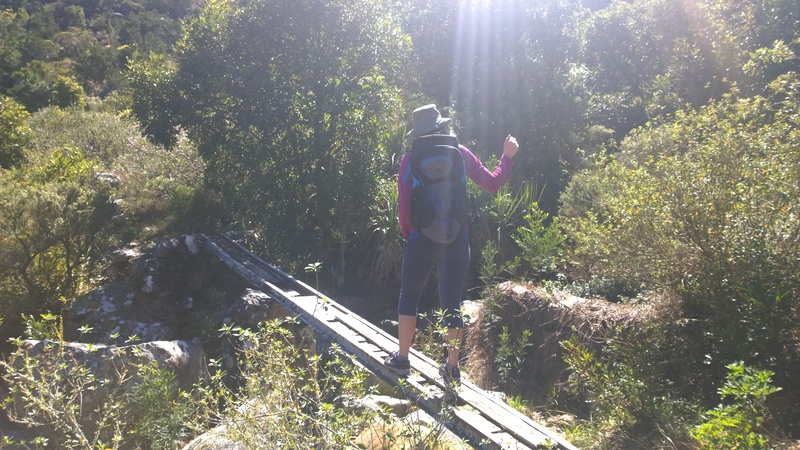 This was the hike we set out to do. 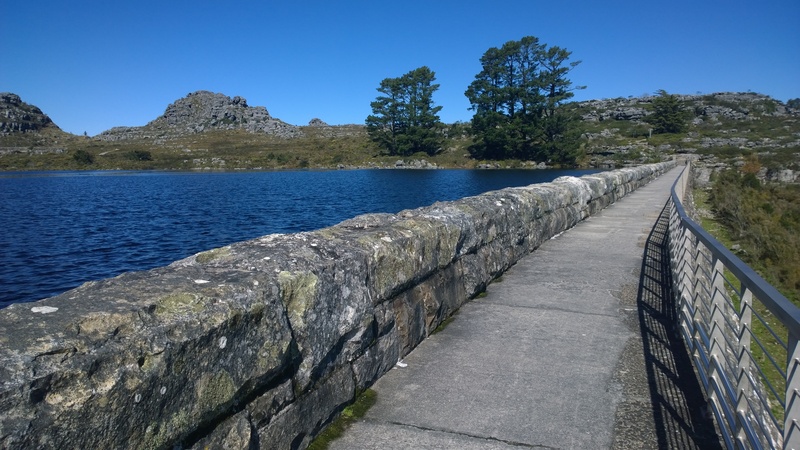 Minette and myself decided to re-trace the waterworks on table mountain by following the old pipes that were laid through the Woodhead Tunnel (constructed by David Graaff) and ending up on the Woodhead reservoir that was finished just after John’s 3rd term in office. 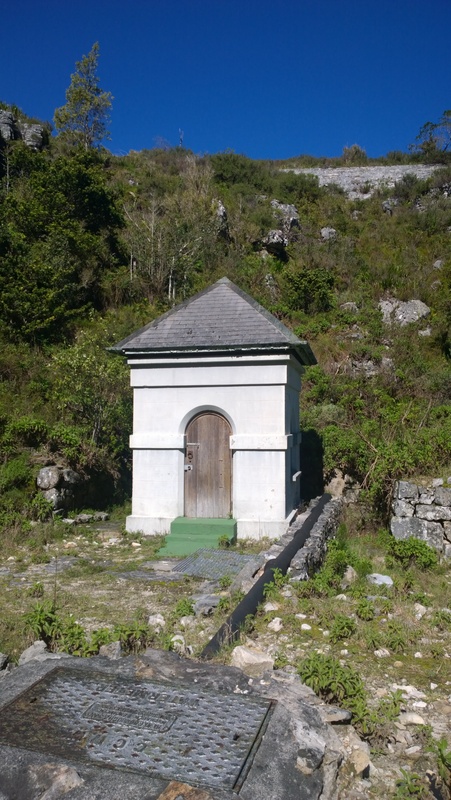 A pump station at the beginning of the trail from Camps Bay towards Corridor Ravine. 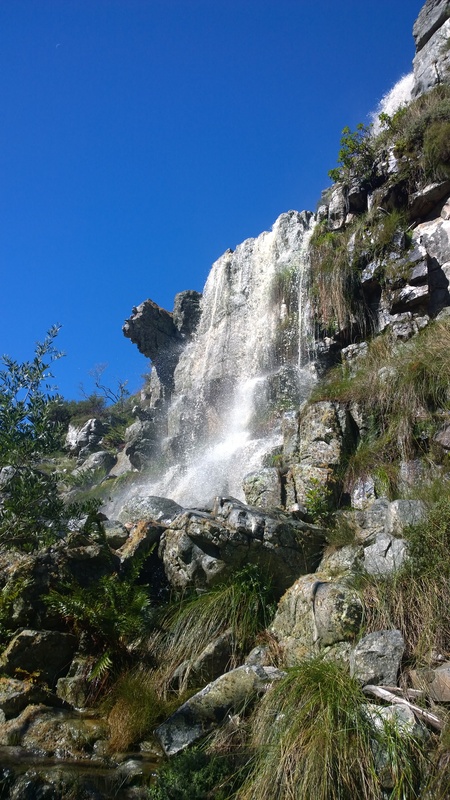 Following the piped that David Graaff and John Woodhead laid down the mountain in the late 1800’s. 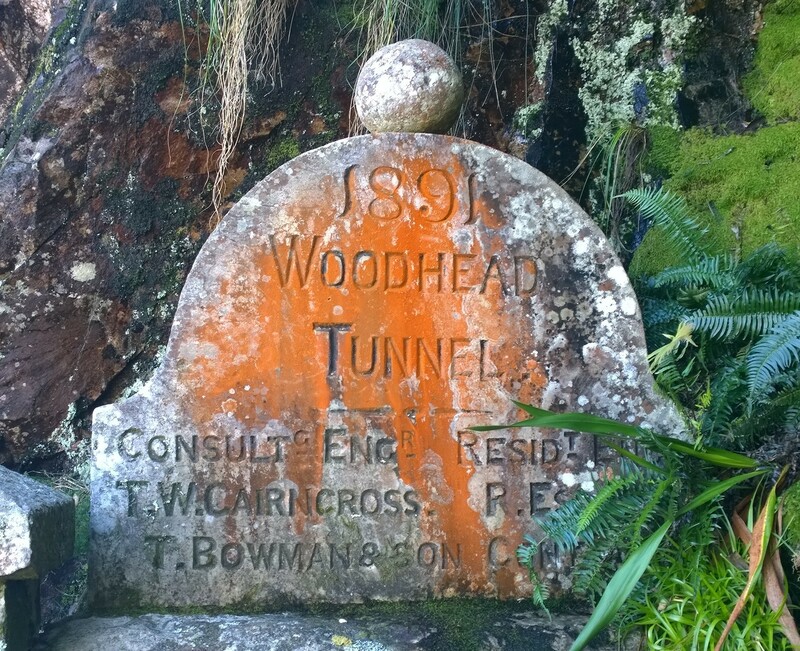 Crossing the river to the start of the Woodhead Tunnel, build during the time when David Graaff was major. 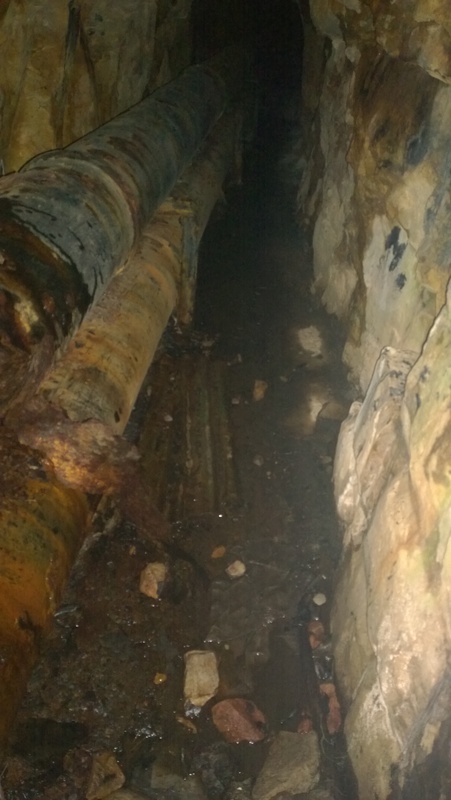 A photo taken inside of the Woodhead Tunnel through a small opening. Minette, at the top of the Woodhead Tunnel. Eben, at the top of the Woodhead Tunnel. At the waterworks half way between the tunnel and the reservoir. 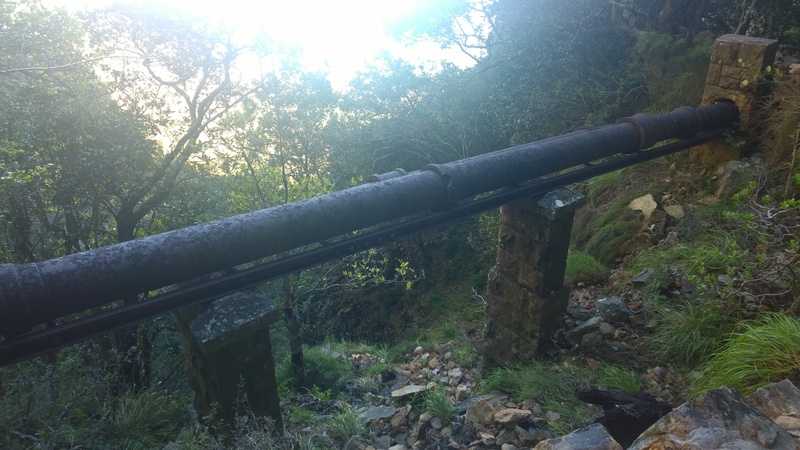 The structure is probably from the 1890’s. 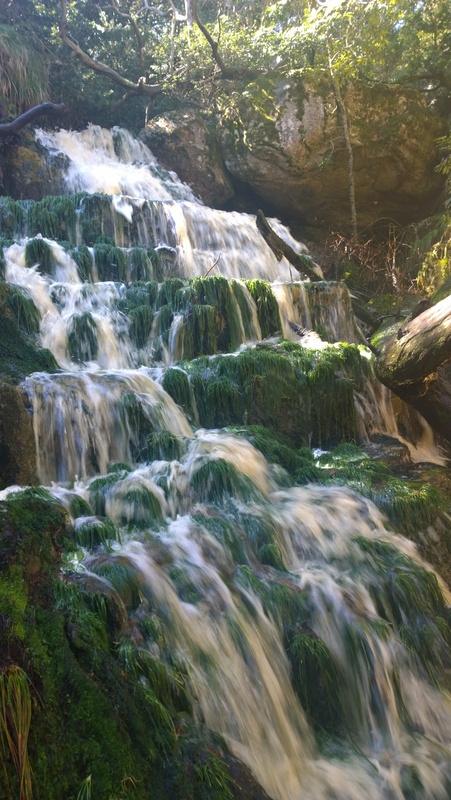 A waterfall at the waterworks. Following the trail from the waterworks to the reservoir. 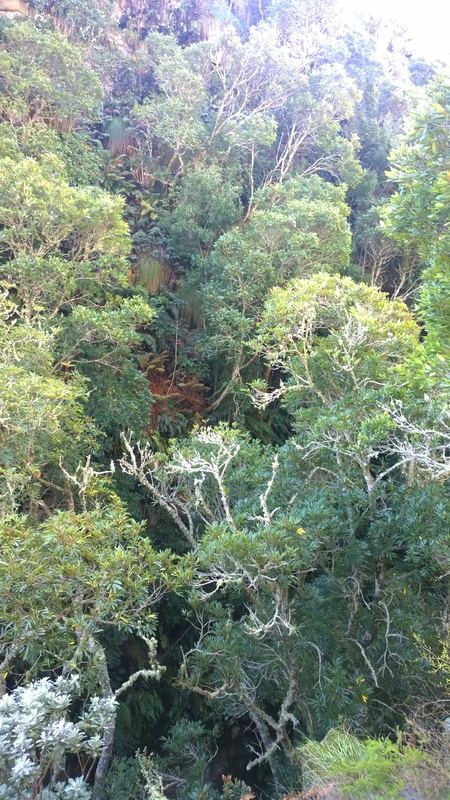 Looking at the canopy of trees below in the gorge as we make our way up to the reservoir. 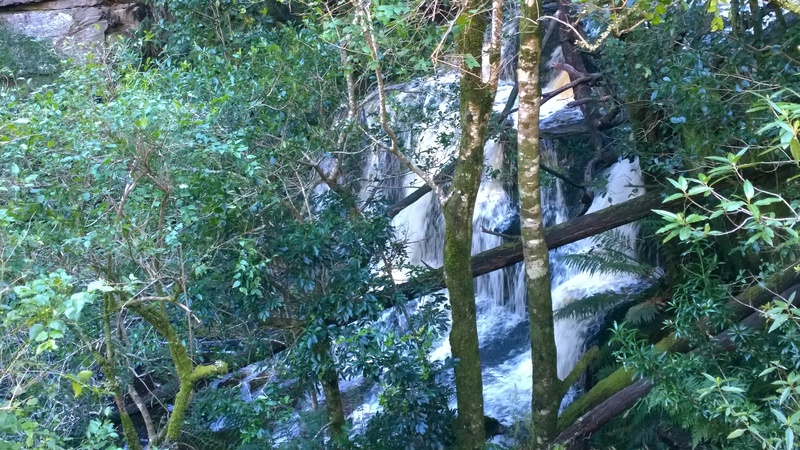 Along the trail one can see more spectacular waterfalls. 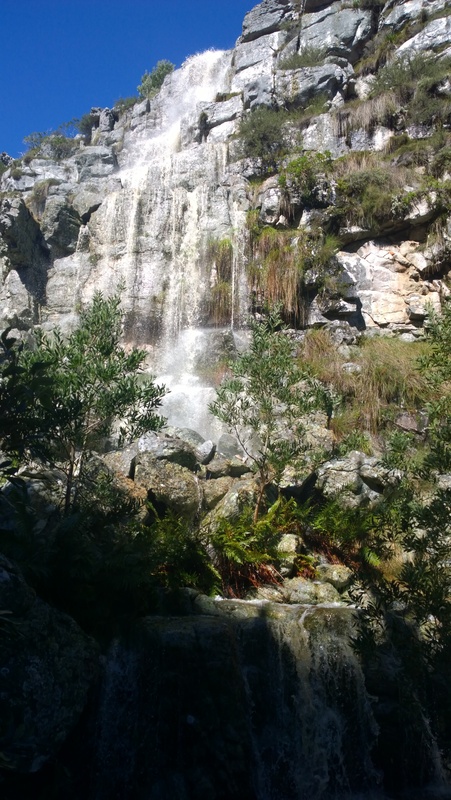 A spectacular waterfall just before one reach the reservoir. 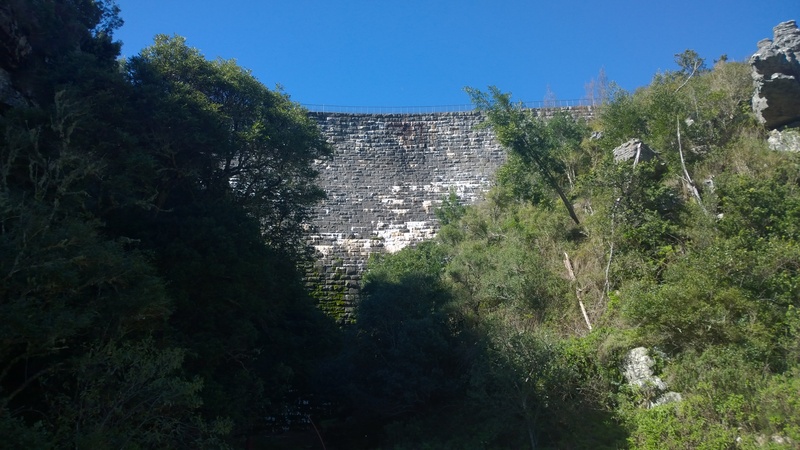 The wall of the Woodhead Reservoir. 1 May 1897. A few years after Woodheads 3rd term as major. On the wall of the Woodhead Reservoir. 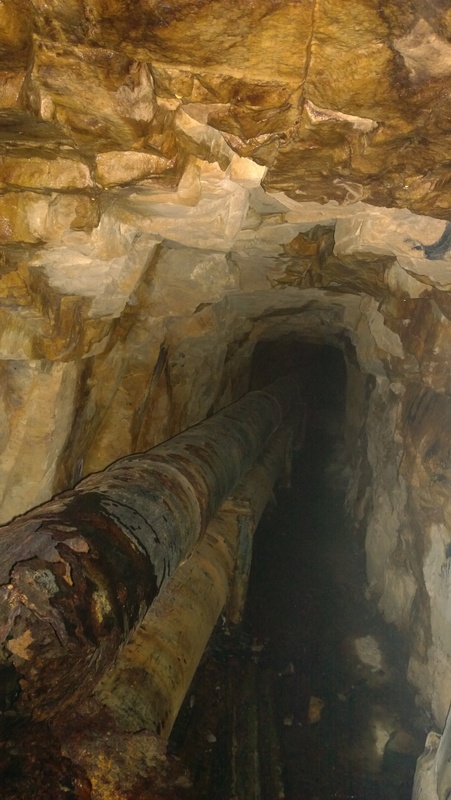 The hike from the Woodhead Tunnel to the Woodhead reservoir was the official trail that was created during the construction of the waterworks in the 1880’s and 90’s. 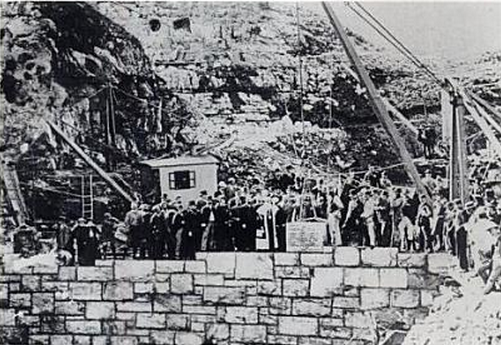 Laying of the foundation stone of the Woodhead Reservoir in 1894. 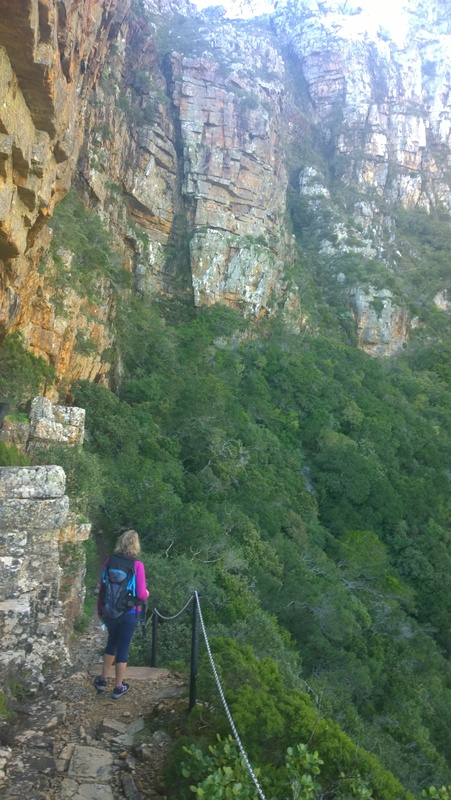 It was amazing to think that David Graaff and John Woodhead would have hiked that same trial, no doubt. At least the hike from the tunnel to the reservoir. 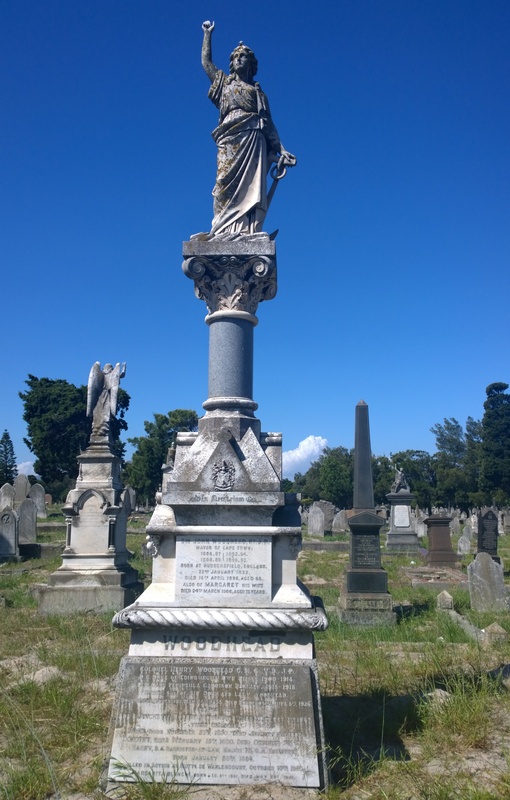 John Woodhead passed away on 16 April 1898 at age 66. He was buried in the Maitland cemetery. 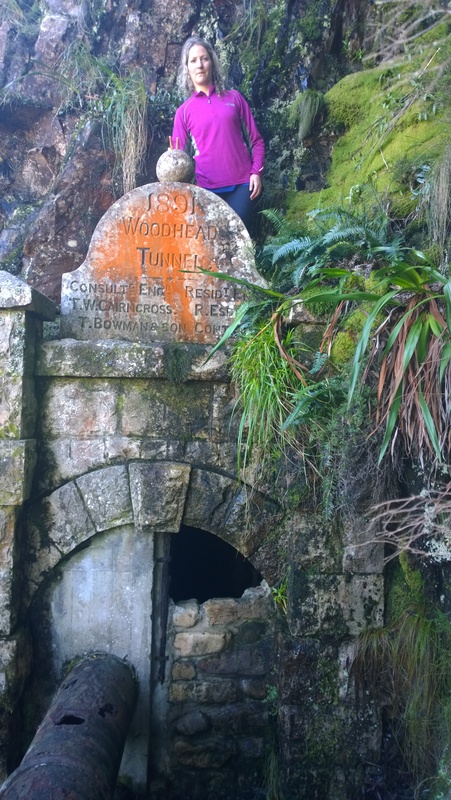 On 12 October 2014 my two kids and I went looking for the grave of Cornelius Combrinck who was buried in the Maitland cemetery. Instead we found the grave of John Woodhead. 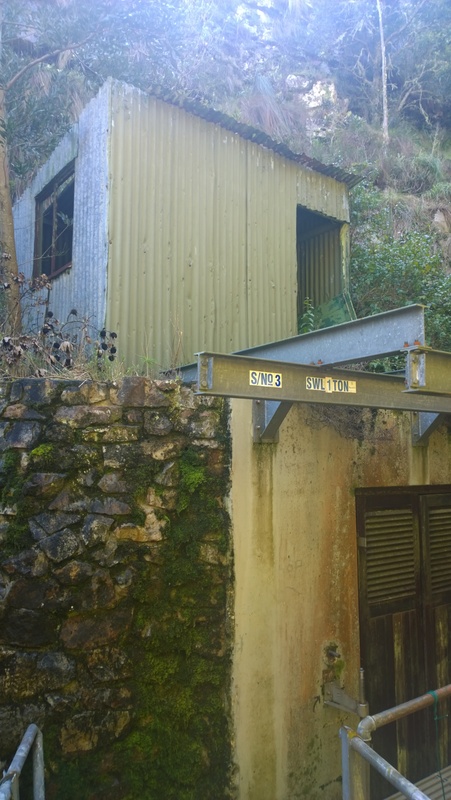 Next to the railway tracks. 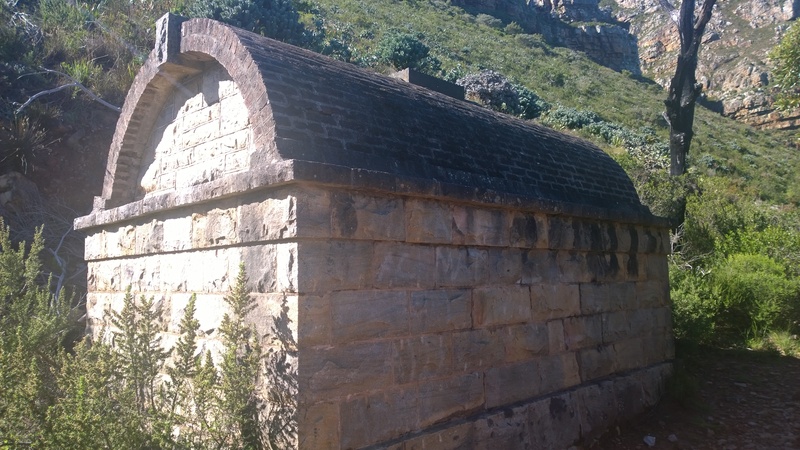 The old chapel close to John Woodheads grave in the Maitland cemetery, Cape Town. 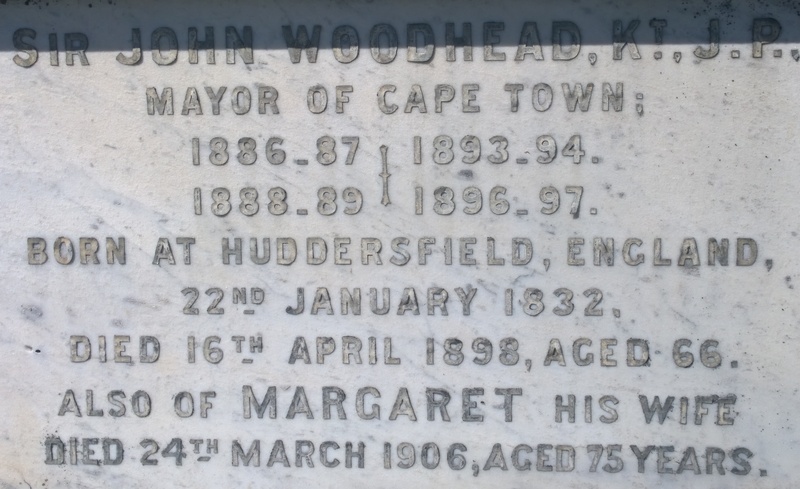 John Woodheads grave in the Maitland cemetery, Cape Town. 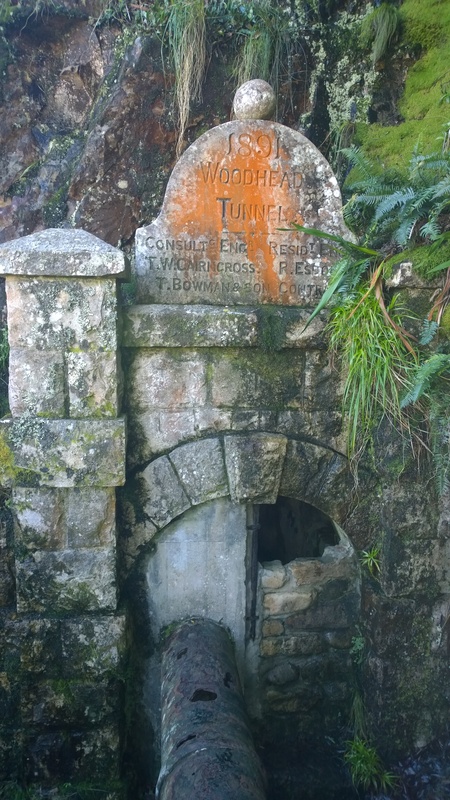 John Woodhead’s grave in the Maitland cemetery, Cape Town. Another famous South African was studying at this stage in Cape Town, Jannie C Smuts. He was 21 years old in 1891. 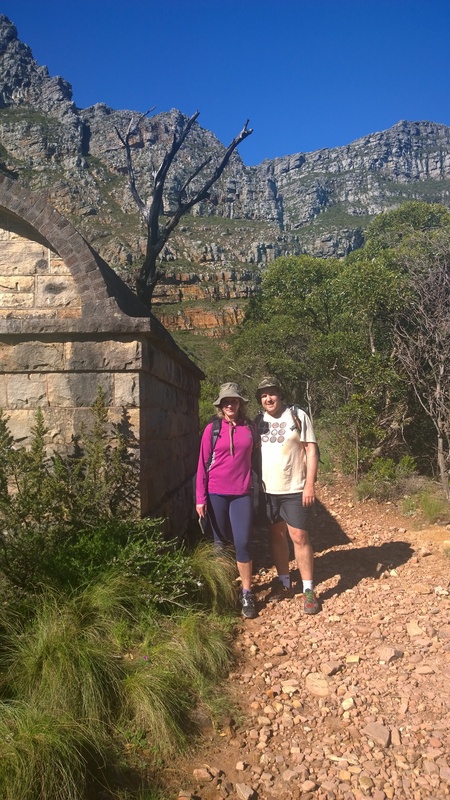 He must have hiked up Table Mountain many times as attested to by the fact that one of the trails on the mountain was names after him. 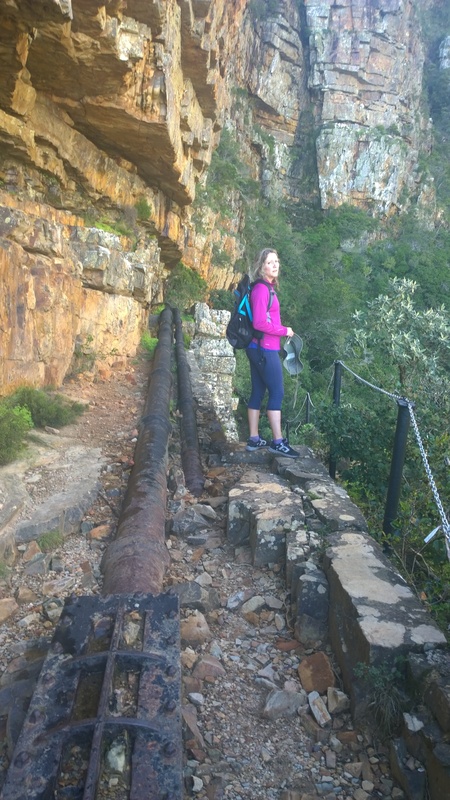 I am sure that he would have done this hike since it was a curiosity and well known endeavor that captured the imagination of all in Cape Town. 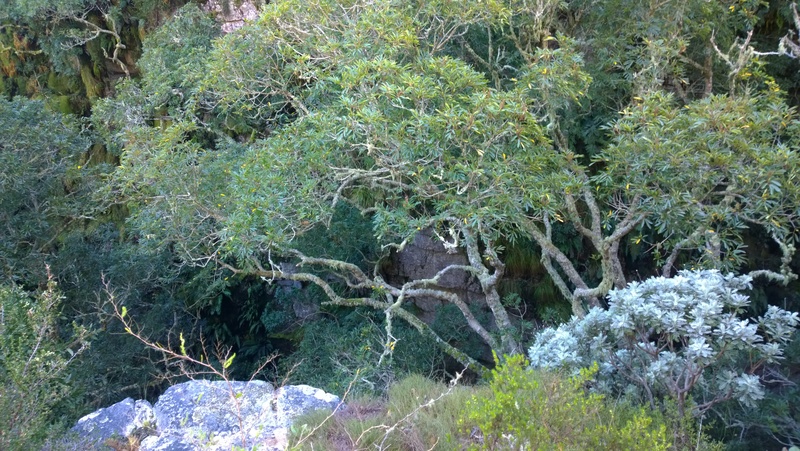 Graaff, Woodhead and Smuts, along with Cecil John Rhodes became key architects of much of life as we know it in Cape Town. 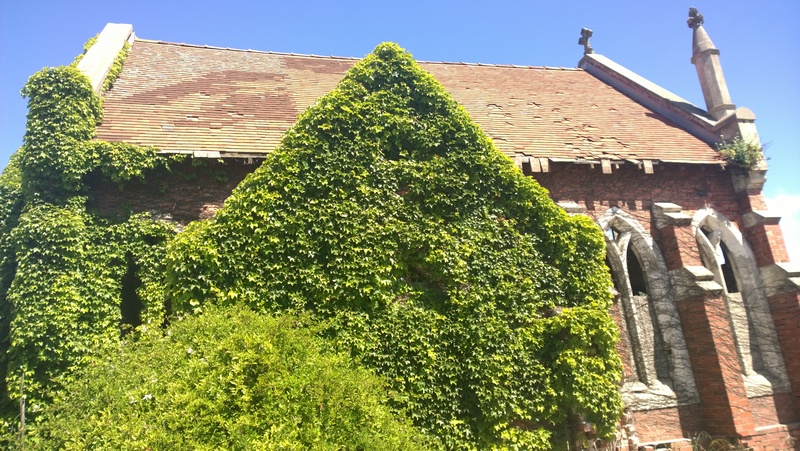 They all lived remarkable lives and serve as an inspiration for subsequent generations. They were imperial in their thinking and fearsly competitive. When I found John Woodhead’s grave I sat down next to it. I thought about all that this remarkable man has done. His grand projects. His business. Men like these inspire us to do great things! Simons, PB, 2000, Ice Cold in Africa, Fernwood Press. Nigel, W. et al. 1998. Cape Town: The Making of a City. David Philip Publishers.